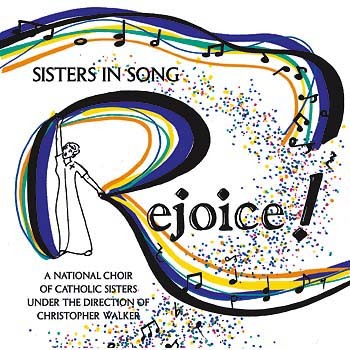 Christopher Walker gathered over 50 talented women from religious orders across the country to lift their voices in songs of joy and thanksgiving. Sisters in Song Rejoice! is a unique recording, presenting songs of joy and thanksgiving. You won't want to miss the music of this incredible choir of over 50 women from religious orders throughout the country. Directed by Christopher Walker, their vocal talent combines with a heartfelt faith to create an unforgettable sound. The net proceeds of this recording are donated by OCP to help fund the retirement needs of religious sisters, brothers and priests throughout the United States.